Looking for a natural decoration for your home? Want to remind yourself of both your loved ones and the beauty of nature? Create your own Nature Photo Frame from twigs, berries, and leaves, to show your admiration for both your loved ones and the beauty of nature in your own neighborhood. Visit your backyard or a park nearby to gather supplies! First, look for two pairs of sticks. Each pair should be about the same length. Next, look for anything you see that might make a nice decoration for your frame! Be sure to take only what you need. Once you’re back inside, lay out your sticks in the shape of a frame. Cut your photograph to fit the frame. Punch one hole in the middle of each side of the photo, near the edge. Ask an adult to help with the scissors and hole punch! Use your string to attach the sticks together at the first corner. You will need to wind the string around the corners many times, so that the sticks stay together. It will probably end up looking like an ‘X’ on the top stick, with many loops on the sticks above and below. 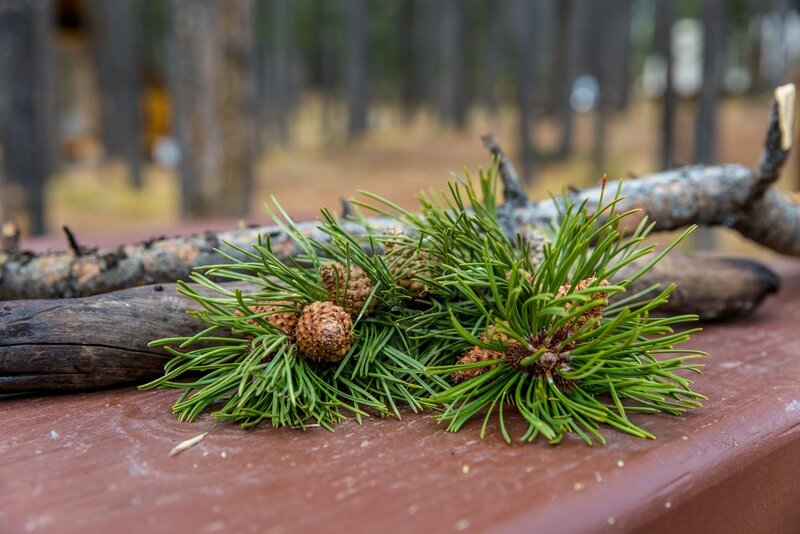 Wrap the string around the base of a bundle of berries, leaves, or a pine cone wherever you’d like the decorations. On each side of the frame, wrap the string around the stick a few times, and loop it through the hole in the photo to keep it in place. Continue steps 3, 4, and 5 until your frame has been assembled! Use the string to make a big loop at the top of the frame, so that it can be hung on a wall. Enjoy your new frame! Or if you’d like, it would make a nice gift for a family member or a teacher. Did you have to travel far to find pieces of nature for the frame? Do you think you would find different decorations if you made the craft in a different season? How does it make you feel to have some nature on display inside?